After I received my greetings from the president, an invitation I could not refuse, I took my physical in Phila, Pa. When I passed the physical they asked me what branch of the military I wished to join. Only gave you a few seconds to decide. I quickly thought the Army marches too much in mud and sleeps on the ground the Marines are crazy for fighting and really gung-ho, the Coast Guard has no glory, so that left the Navy, which I chose. At first they would not approve my choice as I had a full set of dentures. I told them I did not want to bite the enemy, only to fight them. They finally said okey and put me in the Navy. On April 2, l943, a second date that will live in infamy, I joined the Navy. My brother Harry and his wife Evelyn took me to the Reading Railroad Terminal in Philadelphia late that evening. After an all night train ride to Seneca, New York, we were given a stale cheese sandwich and an orange to eat. I said to myself, what the h--- am I getting myself into. The U.S. Naval Training Station at Sampson, New York was brand new. There was mud everywhere and we had to scrape the paint from the windows. We graduated from Boot camp on June 5,1943 as Company 330. They promised me that if would go to Yeoman's training, I would be a Petty Officer 3rd class in 6 weeks, I had a very good background in office studies since I graduated from Ridley Park High School, one of the best commercial courses in the area. But, being 19 years old, and stupid, I did not want to spend my Navy career behind a desk, so I said No Thanks. I want to fight the enemy, so naïve at this age. 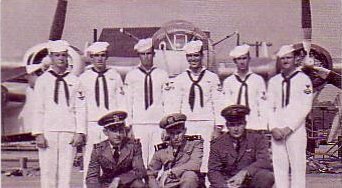 So I went to Naval Air Technical Training Center in Memphis, Tenn from June to November 1943. We spent many hours learning Morse Code and sending and receiving radio messages. On Nov 6,1943 I graduated in Class R1 Aviation Radio Man Course... In that class was a James Henry Mooney, of which you will hear more about later. Upon graduation from Aviation Radioman School were asked to volunteer for Aviation Gunnery School. The ones who did not volunteer were shipped out to New Orleans to be assigned to Naval Vessels. Those that volunteered were sent to Naval Air Gunnery School in Hollywood, Fla. What great duty. It was formerly a boys military academy. We were four to a dorm with our own bath... no fence around the school. We were free to go as we pleased. But that did not last long as we graduated Dec 18,1943. Next I went to Naval Air Station, Lake City, Fla., where I flew 34 hours in a PV-2 twin engine Navy plane for training. 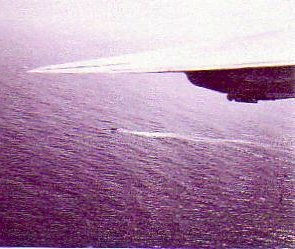 Then onto Beaufort, S.C. flying 39.4 hours in a PV2 doing air-to-air gunnery training. It was while at Lake City our PV2 flew into the eye of a hurricane to take pictures within the eye, what an experience? 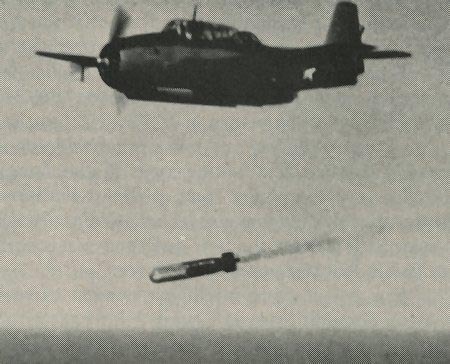 All this time we were training to be radio/gunners for a TBF Squadron (Torpedo Bomber Fighter). As fate would have it, about this time a hurricane over Corpus Christi, Texas delayed the training of the TBF pilot. So we were asked to choose between staying with the TBF training or transferring to a Land Based Anti-Submarine B-24 Bomber Squadron. I had just read in the paper about an entire squadron of TBF's being wiped out in the Pacific by the Japanese. Seeing as how my Mother did not raise any dumb children, I opted for the B-24 bombers. I was sent to the Naval Air Station, in Chincoteague, Va., to be assigned to a flight crew. Arriving at N.A.S. Chincoteague I was assigned to be a Radioman in Lt. Commander William Soloman's flight crew. As Lt. 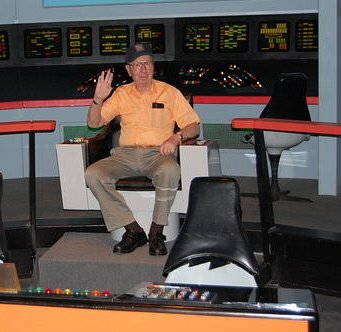 Commander Soloman was not expected until the following week I hitchhiked home to Lester, Pa for the week-end... However, Lt. Commander Soloman arrived early. He wanted to meet his crew, and he was not too happy to be unable to find his radioman. I received a Captains Mast (similar to a court martial), first of five Captains Mast received in my Navy career, a couple for being A.W.O.L., one for drunk and disorderly, one for gambling aboard ship, and the one that hurt the most of all, shirking duty. Finally the whole crew got together and took a get acquainted flight. The pilot was Lt. 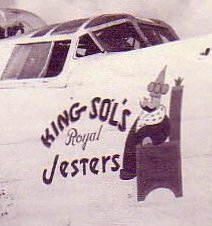 Commander William Soloman (Sol), co-pilot was Lt. Keyhoe, navigator was Ensign Gee. Ray Purviance was crew chief, William (Bo) Beauchman, mechanic. Nick Molchan, mechanic, Rudy (Jake) Ramstack, radioman. William (Tool) Purviance, ordinance man, William (Bill) Miller, mechanic and William (C. Note Charlie) Roth, radioman. As you can see there were too many William's, so we had to have nicknames for everyone and the fact that I had a C-Note ($100.) bill stashed away in my wallet. Never did use it. 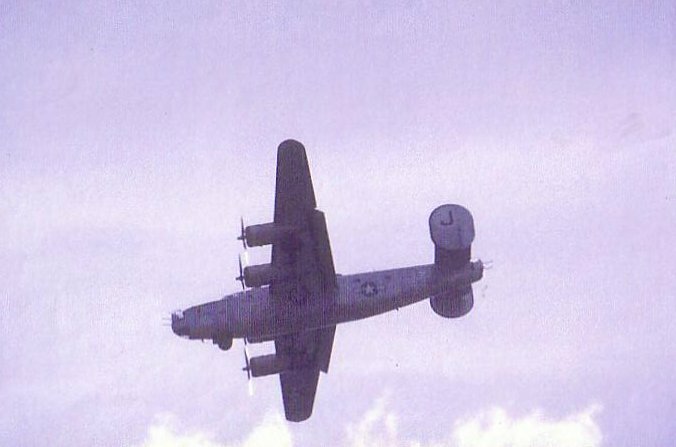 One of the other B-24 crews at Chincoteague had an old Dodge four door sedan with no plates or ownership papers. The car was sold or handed down to a new crew when the old crew shipped out. We bought or received this car. We drove it to Salisbury, Md., about 20 miles away for Liberty. I met a nice young lady who was a telephone operator. After 11:00 P.M. any day I could make free phone calls to anywhere in the U.S. For gas in the Dodge we used aviation fuel, which was not too good for the car, before we shipped out the car blew it's engine, so pushed it into the weeds and left. We would fly practice flights at least once a week but the final flight before shipping out was a simulated full bomb load, full gas load and a ten to eleven hour flight. Some of the planes could not take all this weight. Several of the crews ahead of us were not too lucky. One crashed into the woods, all ten or eleven crew were lost. One crashed at sea also losing all the crew. One had to ditch in the ocean, losing all but three or four crew. When it was our turn for the final flight were a little nervous!!!!!!!!! At the end of the runway the pilot revved up the four engines as much as he could with the brakes on. When I got off the radio I stood in the cockpit between the pilot and co-pilot. Old Sol was pulling back on the wheel as hard as he could, he was a large powerful man... I could see the trees at the end of the runway coming up fast. We got airborne and the wheels just missed the trees. 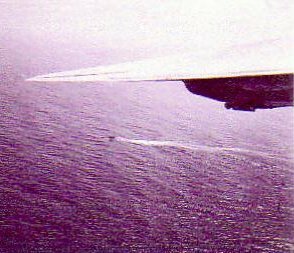 After that flight we were assigned to a VPB-1 Liberator Squadron, out of Natal, Brazil, flying anti-submarine patrols in the South Atlantic. Part of the squadron were sent to Norfolk, Va., to board a ship that would take us to Brazil... We got aboard the U.S.S. Albamarle, a seaplane tender. There were not enough berths so we slept on the inside hanger deck. The first morning we awoke to a loud clamor, pipes were piping, bugles were blowing, etc. We did not know what the H ---- was going on. Just a normal Navy wake-up call. We were put to work while at sea, some scraping paint, others painting. I was lucky (again) as I was assigned to the store where they gave out or sold ice cream, candy, etc... It was a very nice trip. Since the ship was due for an Admiral's inspection when it reached port, we did not have a big ceremony, when it crossed the equator... We landed at Recife, Brazil and were bussed to the Navy Base at Natal. We flew anti-submarine patrol at least once a week in the South Atlantic, between South America and Africa. 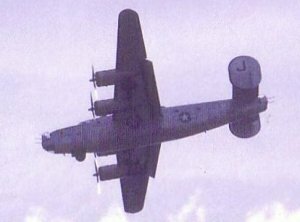 The squadron was called VP 83 until we received 24 PB-4 Y1 Liberators. Then we changed to VPB 107. The PBY's only had four 30 cal. machine guns and the subs would stay on the surface firing at the PBY's. As the sub had a 20 mm cannon on deck. When we arrived at Natal we could see all the holes in the planes. Needless to say the subs were surprised to find the PB4Y1's had eight 50 cal machine guns. Now they would submerge as soon as possible. We flew patrols out of Natal until the end of 1944, at which time the South Atlantic had been essentially cleared of German Submarines. In his book "Galloping Ghosts of the Brazilian Coast" Author Allen Cary writes the entire history of the submarine war in the South Atlantic. 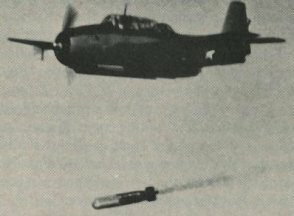 VP-83, VBP107 was credited with sinking eight German Submarines. At this time the squadron was re-assigned to the U.S.Naval Air Base at Upottery, England. Some flew the planes to England, some went back to Norfolk, and then to England. Twenty-four of us were left to close the base. We each carried our entire Navy records, we were only ordered to re-join the squadron in England as soon as possible. While awaiting a commercial flight to Miami, each night we would go into Natal to the Americas Bar and tell them we are leaving. They would buy all of us beer. But the next day we did not have a Miami flight... Back to the Americus Bar and free beer. After three or four days of this they stopped the free beer. Finally we got a plane to Miami... Twenty four of us each with his individual Navy records. We landed in Miami about 8 or 9 P.M. There was a 10 P.M. curfew in Miami. What to do? Someone said we should turn ourselves in to the Navy shore patrol... Someone else said lets find a motel, spend a few days in Miami, then turn ourselves over to the Navy S.P. Guess what we did? We had a great couple of days in Miami. Then went to the Navy and showed them our orders. They put all twenty four of us on a train to New York. We had a whiskey bottle that we hid in the ice behind the water cooler... One of the conductors found it and would not give it back to us. I remember Luther Palmer had that conductor by the neck and seat of his pants ready to throw him off the moving train. We finally arrived in New York City and were barracked on some pier, to await transport to England. We spent about a week touring New York City. We finally were put aboard the French Liner Ile De France, which had been taken over by the British, aboard were 10,000 solders, 2,000 colored WACs and us 24 sailors. It was quite crowded on board and they only let us topside once a day for an hour or so. The British only fed us twice a day, midmorning and late afternoon. There was a place open in the afternoon that sold icecream candy, etc. But the lines went half way around the ship. One of us sailors got a bright idea. We borrowed leggings from the Army, wrapped a black sock around our arm and went to the head of the line, saying GUN CREW. This worked for 3 or 4 days until they discovered there were no guns aboard ship. The ship took a North Atlantic route to avoid the German Subs, so it took us about ten to twelve days to reach Scotland. We landed in some city in Scotland, took a train down to England and finally arrived Upottery Navy Base. I found later that this was the same Army base that the 102nd Parachute Army Division used in the June invasion. We lived in Quonset huts with only a wood stove for heat. We flew every fourth day for ten to eleven hours, from sunup to sunset. Here is where I became good friends with Ray Teglia an other radioman who was from Chicago. We flew many flights together and would go on Liberty together. The nearest town was Taunton which was not great for Liberty. So we would take a train up to Bristol. Much to do in Bristol. On one such trip we were in the train station waiting for our train back to Taunton when Ray tried to get too friendly with the girlfriend of the Army M.P. at the station. Anyway this M.P. got us for drunk and disorderly, put us on report and made sure we got on the train. Another Captain's Mast. On our first flight Feb 25,1945 out of Upottery patrolling over Lyme Bay, we diverted to Weston Zoyland to an emergency landing field. The fog was too bad back at Upottery. After landing we had to walk about a mile to town for food. The locals must have thought we were aliens from Mars walking down the road in our flying suits and boots. We flew sub patrol about every fourth day with the rest of the day off after debriefing and also had the next day off. On the days of our flight we had breakfast in the officers mess, eggs and such, and upon our return we had steak, also in the officers' mess. 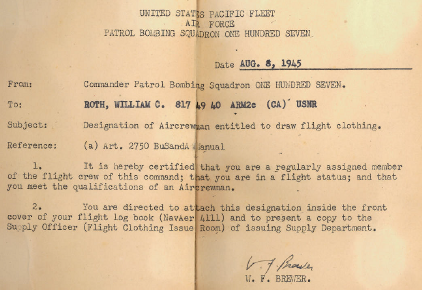 On May 9, 1945 we were scheduled to fly a patrol. On May 8, word came down that the war in Europe was over, but we were all restricted to base that day. However, that evening I went over the hedges and went to Taunton to help the British celebrate. The flight on May 9,1945 took us between Scilies and Brest where we encountered German Submarine No. 249. See Appendix 1 for this story, which has been accepted to be included in the Library of Congress WWII stories. After the war in Europe ended our squadron VPB 107 crews took turns going to Paris, France for a weekend. Just before our crews turn we were assigned back to the U.S.A. for deployment to the Pacific. We sailed from England on the U.S.S. Albamarle (remember her). Being such a clever guy I quickly volunteered to work in the same place as on the voyage from Norfolk. But I outsmarted myself, they did not put anyone to work. After two weeks Liberty I reported to Alameda Naval Air Station in California., July 1945. While we were there the war in the Pacific ended. I went to San Francisco on Liberty and really partied, helping to turn the cable cars round and round. (As seen on news reels). After the war ended the Navy was losing many men, so they provided a two year re-enlistment program. Since I entered the Navy on the East Coast (Philadelphia) they would to have to pay my way from California to Phila. Since I was also still drawing 50% flight pay I shipped over to the U. S. Regular Navy for two more years. I bought a 1941 Hudson car and four of us from the East drove back to Phila. Arno Laux from North Phila was one of the four. On the way back to California, another guy was driving and I was in the passenger seat when he attempted to pass another car on a hill outside of Gallup, New Mexico and we smashed in the front of the car. The car could still be driven and we went into Gallup. There was no car dealer there to get parts for the car. So we continued on to Flagstaff, Az where we spent a week getting the car repaired, borrowed $50 from the Red Cross. We got a motel room and had a glorious week in Flagstaff. We wired the Navy Base and told them we would be late. The lady that ran the motel wanted to kick us out because we would bring females to the room but we prevailed and finally made it back to California. 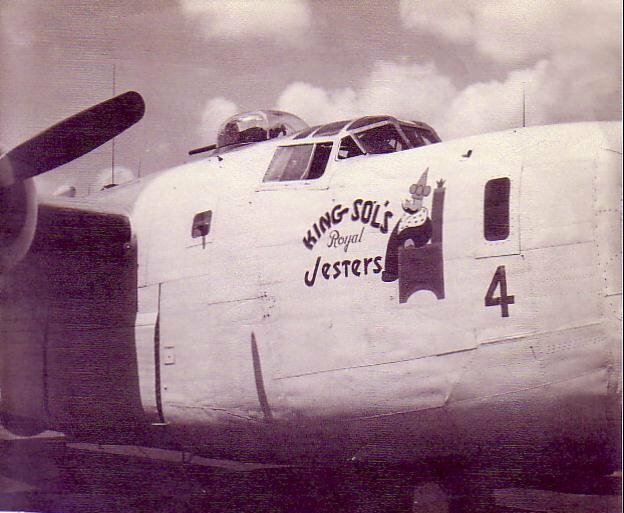 We were assigned to the Naval Air Station Crows Landing, just outside of Modesto, Calif. We were training in PB4Y-2, the single tail version of the B-24 Liberator. My buddy Nick Molchan, was from Buzzards Bay, Mass so when he made collect phone calls from Crows Landing to Buzzards Bay the operator thought he was drunk. The Skipper of our squadron outranked the Skipper of Crows Landing Station. We had the barracks fixed so that each end third was for sleeping and the middle third was set up with sofas, chairs and tables to play cards. The base shore patrol would put us on report but our Skipper would throw away the report and saying, "these men were flying every day and needed to relax." Our Skippers name was Brewer and we would fly thru hell for him... Modesto was where Bill Miller and I would hang out at the bowling lanes and challenge the locals bowling for money... I must mention that Bill Miller was a great bowler. He later was one of the original bowlers that started the Pro Bowlers Assoc. of America (PBA). Needless to say we did pretty well. I kept a complete set of civilian clothes in a locker at a bar, the Carlin Club in Modesto. It was a great Liberty town. Next we were sent to Naval Air Station Whidby Island, Washington. I drove the Hudson up there, what a beautiful drive thru Northern Calif and Oregon. Whidby Island was connected to the mainland over a deep pass by a huge canterlevered bridge. One day while just flying around the pilot decided to fly under the bridge. We all said he was crazy. But under the bridge we flew. What a strange sight to be looking up at a bridge. We would spend six months at Whidby Island and three months in Alaska. At Naval Air Station, Kodiak Island. I put my Hudson in storage in Seattle, Washington. In Alaska we would fly patrol along the Aleutians and North Pacific. On one such flight we crossed the International Dateline. On another flight we were supposed to land at Adak an Island about half way out the Aleutians. When we arrived at Adak the fog was so bad we could not see the runway. On one pass we just missed the mountain which was above the runway. The pilot figured we had enough gas to get to Attu, the last island in the chain. Still foggy. Along the way I was on the Radar and we were navigating from island to island. Running low on gas we proceeded to throw everything but the radio gear overboard. Finally we made radio contact with an Army base on Shimya Island. Army said, "Use runway so and so". Our pilot replied, "I'm coming straight in." At one time when the pilot cross-fed the gas to all engines I had to go off the air with radio because there might be a spark... People thought we went down. When we landed at Shimya, rolling down the runway, all four engines died at once!! Upon exiting the plane the first Army guy I saw, I asked him "Do you have anything to drink." Alaska was a beautiful place, we went to Fairbanks and other towns. While in Alaska one day someone hollered at me, "C-Note you want to go to the Navy Air Station at Squanom, Mass." I figured I shipped over in Calif and if I got out on the East Coast they would have to pay my way back to Calif. They needed four or five radiomen at Squanom, so I said, "Yes". We got back to Whidby Island and I got my car out of storage. Four of us headed east. One of the guys had married while in Washington and his wife was from Minnesota and she came with us in the car and went to Minn, to her home. Driving thru the northern tier of states was really rough, sometimes we would drive with our head out the window, due to ice on the windshield. We stopped at some little town in Minn, where the guys wife was from. While there we had a shiveree a tradition where the new bride is kidnapped and the groom has to redeem her with beer. During the procedure shot guns are fired into the air. They gave me an old shotgun and when I fired it I was not ready for the hard kickback and almost got knocked over. We finally made it to Mass., the Navy Air Base was used mainly for reserve pilots who had to fly at least ten hours a month to keep up their status. We made sure the radios were working in the planes. The planes were Navy SNJ and the movies used them as Jap Zeroes. We could fly with the pilots or not. I would go off with them now and then to keep my air crew status. The local police knew my Hudson well. One day they came to our front gate trying to serve tickets on me for traffic violations... But they could not set foot on Navy property, so I just laughed at them. My car had only one headlight working and it would go places where no car should be. Each month come payday, the base officers would try to not pay us enlisted men flight pay. But since we had air crew in our records they could not stop from paying us flight pay. This got to be such a hassle that on Nov 24,1947, when my two years were up I decided to get out of the Navy and went home to Lester, Pa. They had to pay my way back to California though. The story of what happened on the Patrol Flight on May 9,1945. U.S. Naval Air Squadron VB107 was flying submarine patrol out of England, patrolling the North Sea, English Channel, Atlantic Ocean, etc. Every fourth day we would go on a 10-11 hr patrol. I was a Second Class Radio-gunner in the squadron. Sure enough, they were flying a black flag. Wow, I almost had my 15 minutes of infamous glory and an international incident... I got on the radio and the first one I raised was a British destroyer. They came and towed the sub to a port... I still have the picture of the sub taken from our plane. It is certified by the pilot, Lt. JG W.F. Brewer, USN. I don't know if any museum, or such would like this photo. I would gladly donate this item if anyone is interested. William Charles Roth, aka "C-Note Charlie", aka "Dirty Bill" (for his tricky tennis shots) passed away on the evening of Wednesday, December 11, 2013, at St. Joseph Mercy Hospital, just outside Ann Arbor, Michigan. His favorite story, told at first hand-shake with any new acquaintance, was "Did you know you just shook the hand that held Einstein's brain?" For in his early days working at the RCA David Sarnoff Research Center in Princeton, N.J., he performed X-ray and electron microscope analysis of cells of Einstein's brain.